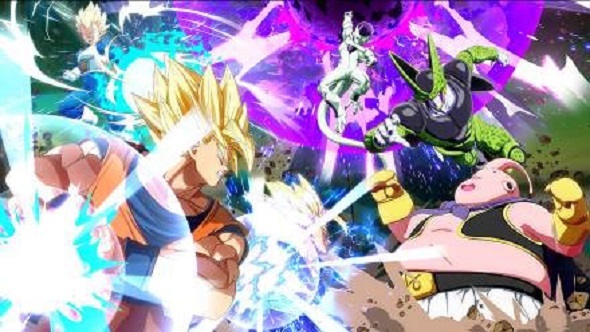 Top-level Dragon Ball FighterZ players are yet to establish a commonly-accepted meta, which means that tournaments are still something of a Wild West. That showed over the weekend, as Chris G and Kizzie Kay clashed at last night’s Dragon Brawl in a thrilling set. Broly and Bardock are coming to DBFZ as DLC characters. The best-of-three match started strong from Chris G, but Kizzie responded strongly, taking the second game. A back-and-forth deciding game eventually saw Kizzie find an advantage, push for the win, and eliminate Chris from the Winner’s bracket. Or at least it would have done, had Chris not had a trick up his sleeve. The qualifying tournaments for Dragon Brawl included a unique mechanic. Winners of the ‘Path to Dragon Brawl’ tournaments, which included Chris G, received a ‘wish’ alongside their prize money. That wish, if played at the tournament, would allow a player to extend a match, converting a best-of-three into a best-of-five. That meant that while Chris was 2-1 games down, he wasn’t out yet, but he’d have to win the next two sets to qualify. In an anime comeback worthy of even the most hyperbolic YouTube montage, he did just that, closing out the fifth and final game by a tiny margin on his final character, reversing the earlier result and progressing to the next round. You can check out highlights from the match via Twitch, courtesy of Kotaku.